Among the headline features of iOS 12 is that it makes every iPhone including iPhone 5S and iPhone 6 noticeably faster. However real tests show that iOS 12 actually slows down older iPhones. iOS 12 promises to make everything smoother, faster and convenient form keyboard display to app launching and to the camera. But this is not the case with some older iPhone models. The updating of the software has been blamed for the sluggish operation of these earlier versions. Apple promised to make a huge increase for iOS 12 performance. It’s the most important thing in this update. Things you do all the time, like opening Camera, typing with the keyboard, etc., would happen faster than ever. It also promises your iPhone or iPad can handle heavy workload very well in the iOS 12. iOS 12 supported devices go all the way back to the old iPhone 5s and iPad Air. 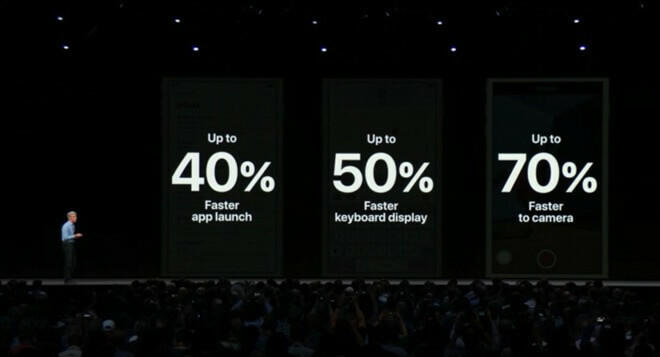 it will be up to 40% faster app launch under heavy workload. Apple recently took to the WWDC stage and promised that their iOS 12 would provide improved performance than the current operating system. To demonstrate this, iOS 12 beta was installed on an iPhone 8. The video below shows that the iOS 12 device is quicker at opening a variety of apps, both Apple’s own as well as third-party apps. However, Apple promised that applications would launch up to 40 percent faster. However, the video does not show speed increasing that fast. Apple also promised that opening the keyboard would increase up to 50 percent faster. Unfortunately, the side-by-side video shows that the keyboard opens fast just as it does in iOS 11.4. This means that it does not live up to the earlier promises. In another test done by iAppleBytes to compare iOS 12 performance on an iPhone 5s showed that the handset running the latest version of iOS 12 booted up and almost launched applications faster than iOS 12.4. The iOS made the earlier iPhone slow after iOS 12 update. According to a Geekbench test carried out by iupdateos of an iPhone 8 with the latest iOS 12 beta version, the multi-core score stood at 10469 compared to another test carried out on iPhone 8 running in iOS 11.4 with a score of 10073. From the tests above, it is evident that although Apple promised improved performance with iOS 12, there are instances where this operating system fails to deliver as promised. In the older iPhone models, the iOS 12 slows iPhone 6 while in the latest models it actually makes them fast. And keep in mind, all these tests were carried out on the very first developer-only beta of iOS 12. In general, companies don’t focus on speed improvements until later in the process.So you can expect potentials of Apple’s next operating system. There could be other reasons why your iPhone 6 plus is very slow after iOS 12 update. Some people would suggest that downgrading your iOS to an earlier version would be the best solution. However, it is not necessary to downgrade because you can improve the performance of your iPhone 6 by using tips and ways to improve its performance. You can uninstall and reinstall apps to clean cache, or you can use iMyFone Umate Pro iPhone Cleaner to clear cache without deleting apps. Umate Pro is a software program that helps you clean your iPhone junk files, which saves you storage space and boost iPhone performance. Clean Junk Files Free: 1 click to remove all useless files, like cache, corrupted files, crash log, etc. 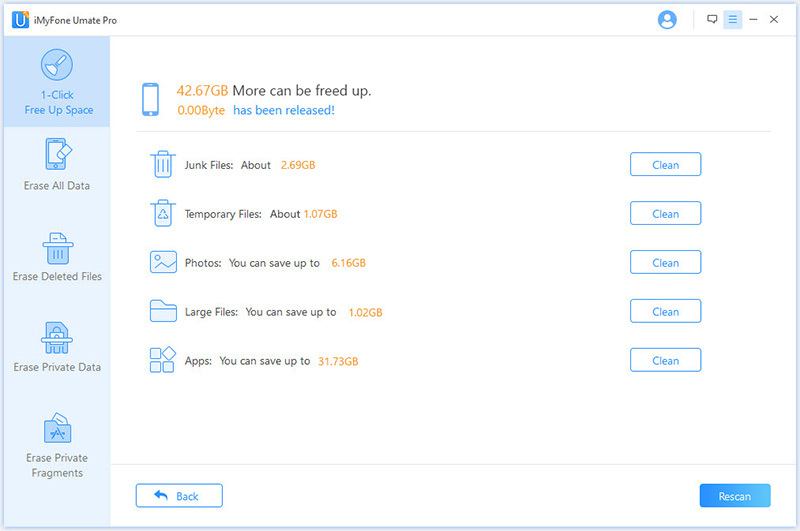 Clear Temp Files: Delete all temporarily downloads from iPhone to save huge space. Wipe Private Traces: Completely erase all incomplete fragments left by third-party apps to improve iPhone performance and protect your privacy. Erase Deleted Files: Previously deleted files are still left on your device without your acknowledge. Wipe them gone forever and make your iPhone clean. Step 1: Download, install and launch the software on your computer. Connect your iPhone using a USB cable after launching the program. Step 2: Scan your device for space-saving analysis. To start this process, click on the “Quick Scan” button. If you want to wipe 3rd-party app traces, choose “Erase Private Fragments” from the left menu. If you want to erase deleted files, choose “Erase Deleted Files”. Step 3: Once the scanning process is complete, you will be able to see that you have a huge space to save on your device. To free up space, you must click on the Clean button. Once the cleaning process is over you will be able to view the amount of space you have freed in GBs. Continue freeing more space by choosing other areas to clean. Hard rebooting your iPhone could also be another trick on how to fix iPhone slow after iOS 12 update issues and improve your iPhones performance. Unlike factory reset, it won’t erase all contents or settings. But it’s a good way to solve any iPhone issues. You can have a try. On iPhone X, iPhone 8, 8 Plus: Press the Volume Up button and release it, press Volume Down button and release it, press and hold Power and Home buttons until you see the Apple logo appears. On iPhone 7/7 Plus: Press and hold the Power and Volume Down buttons until the Apple logo appears. 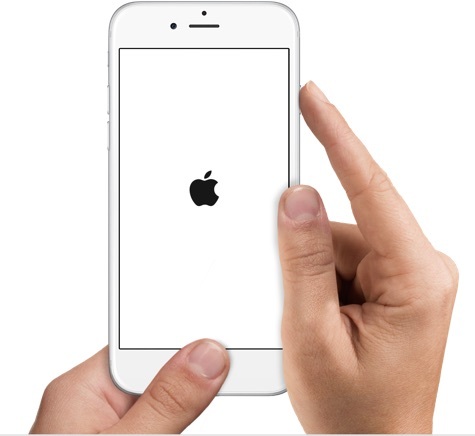 On iPhone 6s and Earlier: Press and hold the Power and Home button until you see the Apple logo. You can also reset your device to fix iOS slow on iPhone 6S. This will reset your device and enable you to use iOS 12 on your device. Don’t forget to back up your iPhone via iTunes or iCloud. After resetting, you can restore backup back to your iPhone. After that, you will find your iPhone has much more storage space than before. This is because iCloud/iTunes backup doesn’t include everything. Lots of useless files or crash logs will be cleaned during the process.